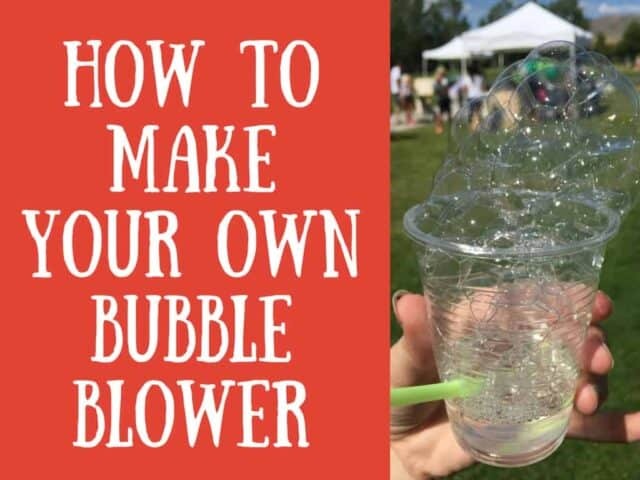 This summer your kids will love to learn How to Make your Own Bubble Blower. This craft is so fun for summer because it keeps your kids happy and entertained and it is super easy to make with items that you can normally find in your house. My kids have had so much fun making their own bubble blowers and even the younger ages are able to do this themselves. This is a great summer craft, preschool craft or activity for camping. 1. 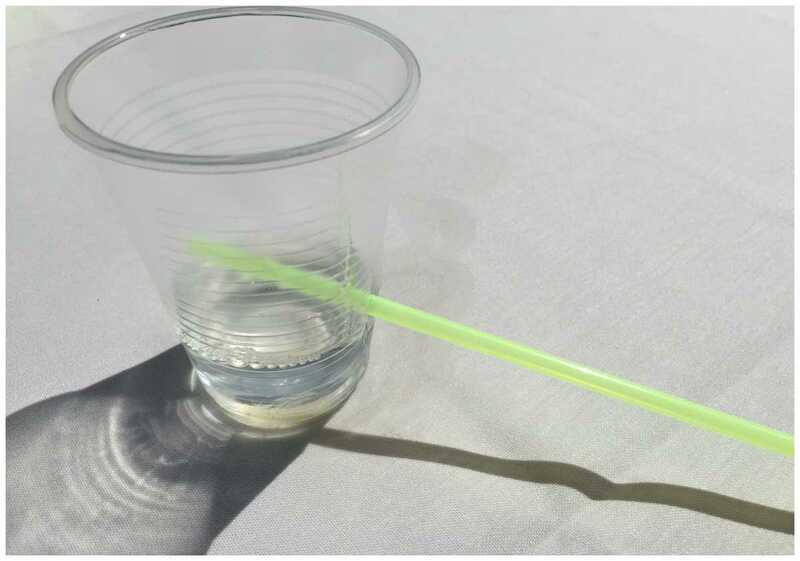 Poke a small hole in your plastic cup. This needs to be big enough to stick your straw into. 2. Pour 1/2 part water and 1/2 soap into the bottom of your cup. You don’t need very much. In total, it will be about an inch. Make sure your liquid is lower than your hole. 3. 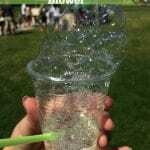 Stick your straw into your cup, tilt your straw so it is into the bubble liquid and BLOW!!
. Poke a small hole in your plastic cup. This needs to be big enough to stick your straw into. Pour 1/2 part water and 1/2 soap into the bottom of your cup. You don't need very much. In total, it will be about an inch. Make sure your liquid is lower than your hole. 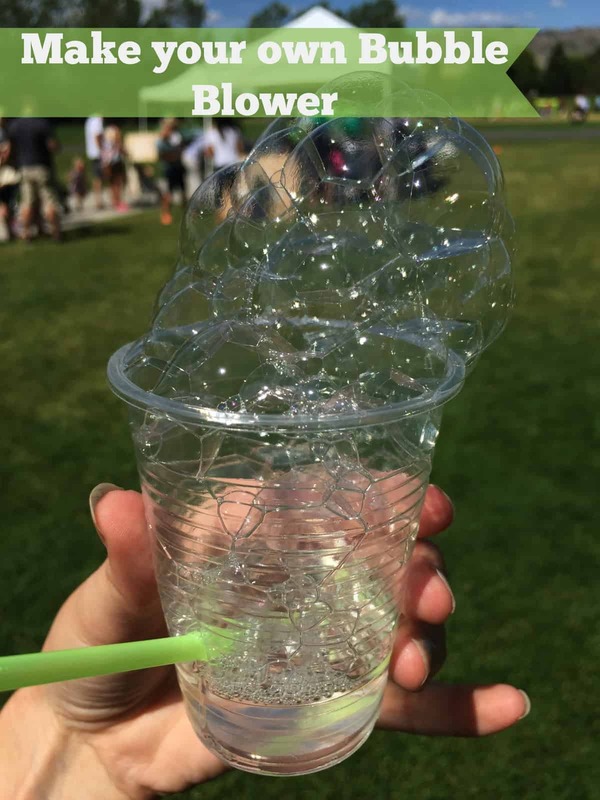 Stick your straw into your cup, tilt your straw so it is into the bubble liquid and BLOW! !